This wardrobe essential is made from 100% non-mulesed Australian merino wool. It’s a very versatile piece that can be used both as a base layer and mid layer in different types of weather throughout the whole year. 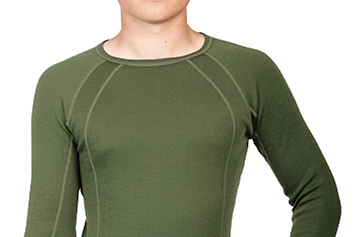 The single layer knit offers superior insulation and breathability. Thanks to its soft non-itchy yarn and flat seams, the outfit feels comfortable next to the skin. There is enough room for a possible thinner layer underneath, should you wish to use it as a second layer, while the garment retains a snug fit when used alone. 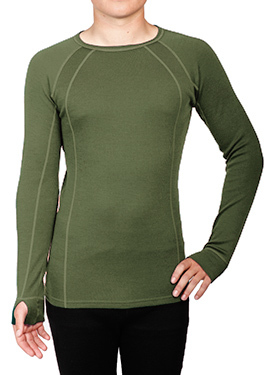 This 230 g/m2 merino top with thumb holes and raglan sleeves for extra freedom of movement will keep you warm during your outdoor activities all year round. If your body measurements don’t match the measurements, follow your chest measurement to choose top size & your hip measurement to choose pant size.